Not Your Ordinary Motivational, Inspirational Speaker, instead you will have an experience that will last long after the event is over! 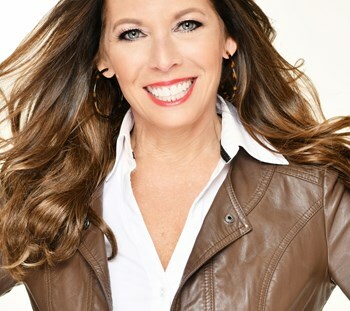 Lisa Lieberman-Wang is a TEDx speaker, #1 International bestselling author, featured regularly on ABC, CBS, NBC, FOX, & The CW as their relationship, success strategist and breakthrough expert. Lisa uses her personal narrative, proven strategies for breakthroughs, and audience participation to create a keynote address that will grab the audience's attention and change lives. Lisa's professional seminars have been described as inspiring, entertaining, motivational, informative, and even life-changing by past attendees. Whether you are looking for topics related to empowering women and men, self-help, overcoming fears, addictions, personal growth, relationships or business development, Lisa will be able to create a custom program to inspire your attendees. Lisa Lieberman-Wang is a leading expert on neuroscience and human psychology. 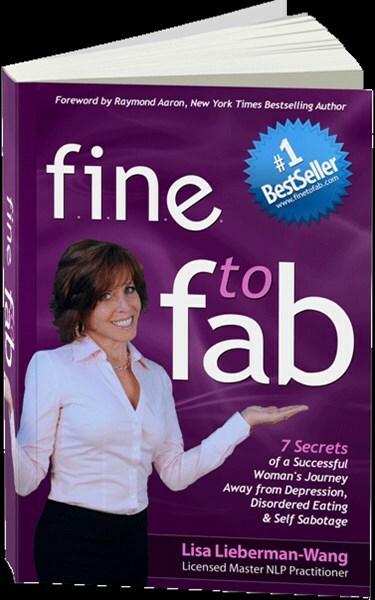 #1 Bestseller of the book FINE to FAB. 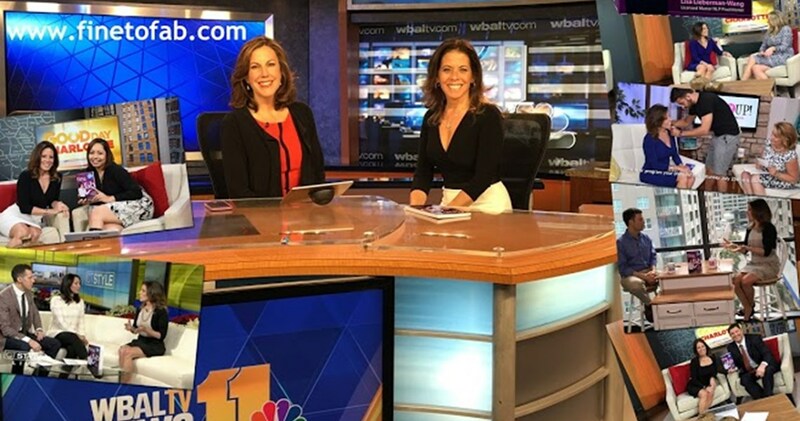 Co-founder of NAP Coaching Academy and Emotional Breakthrough Expert featured regularly on ABC, CBS, NBC, FOX, & The CW to help you break through the barriers that weigh you down to avoid years of shame, blame, and therapy. Lisa is no stranger to self-sabotage she spent 13 years in dis-ease dealing with depression, eating disorder and sexual abuse and now has 25 years teaching others how to stop. Throughout her career, Lisa has applied neuroscience, human psychology and behavioral studies to personal and business development. Her studies include traditional coaching methods, cognitive behavior therapy (CBT), neuro-linguistic programming (NLP), dialectical behavior therapy (DBT), neuro-associative programming (NAP), neuro-associative conditioning (NAC), hypnotherapy, among others. She's worked with Tony Robbins for over 25 years, is a Platinum Partner and Senior Leader with him. She's spoken on some of the most prestigious stages, including Harvard University, the Navy, Women Leading the Future. She's trained for companies like Konica Minolta, Anthems, Blue Cross Blue Shield. Lisa has coached thousands of highly successful business leaders and managers in their leadership roles, relationships, and mindset. As a professional speaker, she's trained over 125,000 entrepreneurs live in person over the last 25 years on wellness, leadership, sales & marketing strategies to grow themselves, their business and their minds. Executives & Entrepreneurs choose to work with Lisa because she's not just a one-trick pony, but a true business leader—She has done over $60 million in personal sales in her prior corporate career. She has led countless professionals to multi-million-dollar businesses including herself. Her expertise reaches every aspect of your business. Lisa helps people to think and act more strategically. If you're looking to inspire, enlighten, motivate and move your organization then hire her. Learn how the LIES in your BELIEFs become self-fulfilling prophecies. Discern the LIES in disguise and how to replace the disempowering ones with empowering. As Lisa's most sought-after seminar, 7 Secrets of FAB is time – tested to teach you practical strategies to stop self-sabotaging in a simple, step-by-step approach. * discover why you are enough, no matter where you are at in your life in this moment. A favorite among sales professionals, changing your mindset for success, step-by-step approach. * They are rejecting your product or service not you. * Somewhere and somehow many we were given a message that “NO” meant they weren't good enough. In this popular seminar, Lisa shows you the clear link between your brain's psychology and performance and what LIES beneath. * what positive psychology really means on a practical level, and straight forward strategies to achieve a happy state in the midst of change and challenge. -- Contact Lisa's team today to see if she is available to speak at your next conference, event or retreat. Please note Lisa Lieberman-Wang: Motivation•Mindset•#1 Author will also travel to Branchville, Newfoundland, Bloomingdale, Haskell, Hewitt, Ringwood, Wanaque, Butler, Swartswood, Highland Lakes, Pompton Lakes, Riverdale, Sterling Forest, Stockholm, Middleville, Oak Ridge, Oakland, Greenwood Lake, Pompton Plains, Stillwater.